"Access to thousands of Foursquare listings in Seconds!" Foursquare has the business data that you are after, but how do you get it? Well now with Foursquare Scraper its as easy as a press of a button. In just minuets you could have easy csv access to the millions of businesses that are listed on Foursquare. Its seriously just that simple. 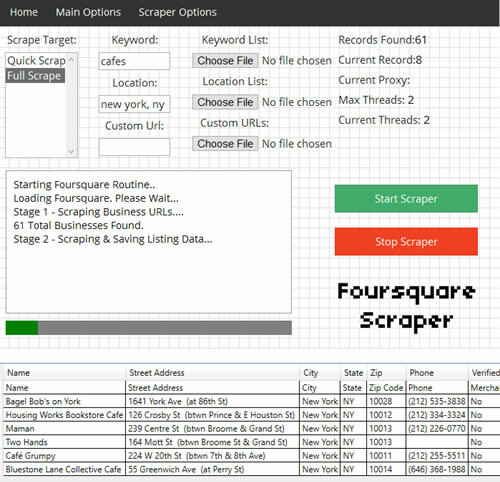 With our Foursquare Scraper you get 2 scrapers in one. 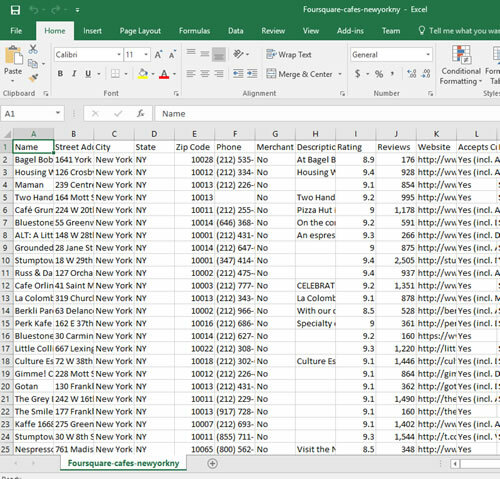 A quick scraper for basic business details and a full scraper that gathers 32 columns of data. You get absolutely everything on page except the user reviews. Minor details such as Outdoor Seat, WiFi, and Parking are not overlooked. When we mean everything we mean everything! Check the chat below for just a few of the columns of data you could have at your command with Foursquare Scraper. Local Scraper has been a industry leader in building scrapers and has a track record of success spanning over 5 years now! We are not some fly by night overseas money grab. 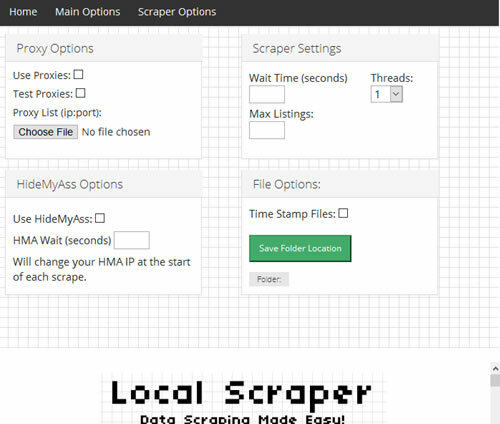 Our new Foursquare Scraper has been built upon our hugely successful Local Scraper Framework and is lighting fast and easy to use! So what are you waiting for? With an instant access download you could be scraping data in minutes! 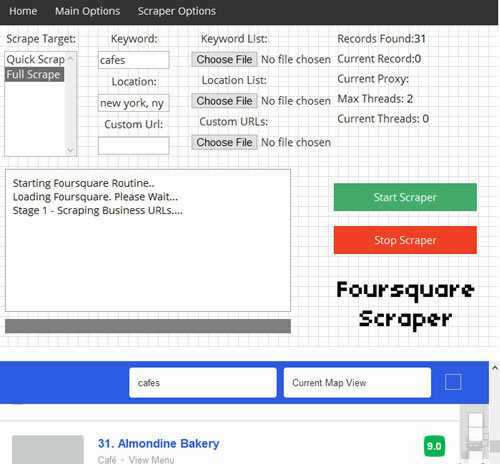 Foursquare Scraper is fully multithreaded so you could be scraping fast than ever. Up to 30x faster than most normal scrapers! Get instant access to Foursquare Scraper for only $39.99! * Foursquare Scraper only supports Windows OS. ** Your purchase is for a Single License of Foursquare Scraper. Your Single License allows you to install the program on two computers.